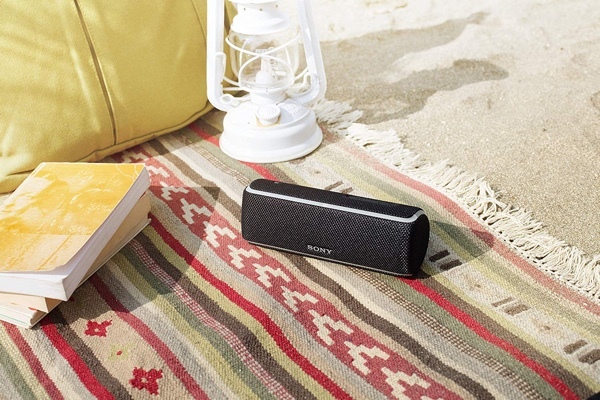 Wireless Bluetooth speakers are everywhere these days, and just about every tech company makes one or five for your to choose from. The folks at Sony have long been synonymous with music, so it’s perhaps predictable that the Japanese company has its own speaker for your to check out. Right now it’s available at a discounted price too, making it even more compelling. Taking the price out of the equation for a moment, the Sony SRSXB21 might have an appalling model name, but it’s actually quite the impressive little speaker. Bluetooth, as you might expect, this speaker is waterproof and has an LED light that lights in sync with the music. The battery should be good for around 12 hours of music playback before a charge is needed, and you can even pair multiple speakers together to get a stereo setup if you want a little increase in audio quality. There’s even an app for your phone that lets you change how the speaker works, including how that LED light behaves. Normally this speaker would cost anything up to $100, but right now it can be yours for less than half that! Sounds great, right? Hurry though – we don’t know how long this price will be around for.